Michelle is doing it right on a tall bike! 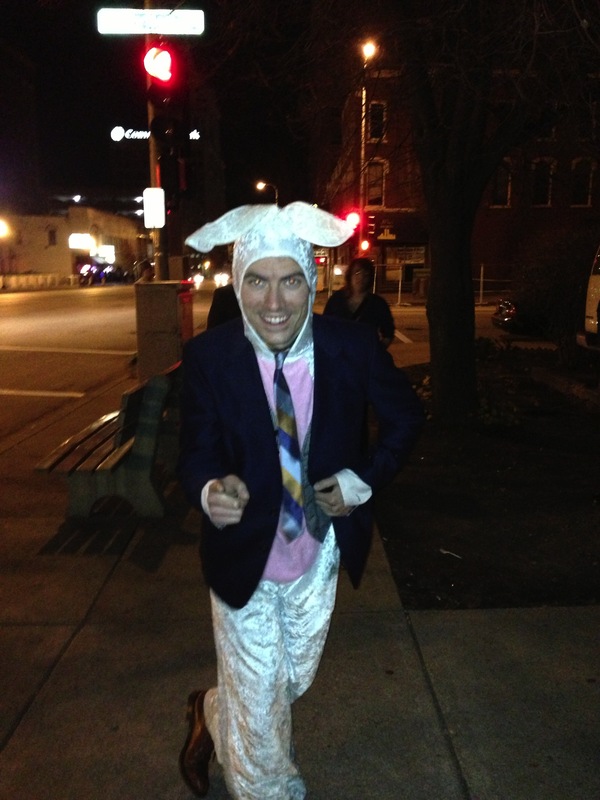 Now… Lets get weird Peoria! 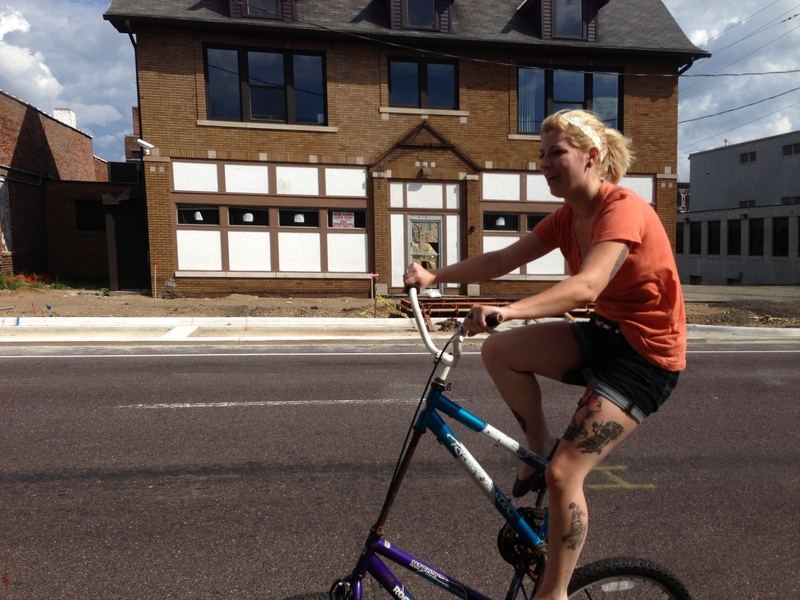 Now that Peoria Bike Summer is over and we have received a great amount of attention and the ears of the City Council and Mayor we can finally lay back and get weird…. I’m talking about going back to the feeling you had from riding as a kid. Or if you are a kid make us cool and ride with us. If you’ve never road as a child then you are one lucky duck because you still have that feeling. Lets get together and RIDE!!! This past Sunday on our closing ride we had a ton of fun. We had one flat tire… and a minor spill but we survived and made it to the party. As we ended back at Studio 825 we had one hell of a BBQ with some amazing music. As the party began a beautiful young lady that went by the name of Michelle got up and decided she wanted to ride the tall bike. She literally rocked the block! A the party went on and we decided to take the music to the streets with our newly developed bike trailer that has was donated personally by Dr. Dre and Beats! I know it… we are awesome! Thanks! CLICK ON THE LINK TO SEE IT IN ACTION!! Taking the party to the streets! 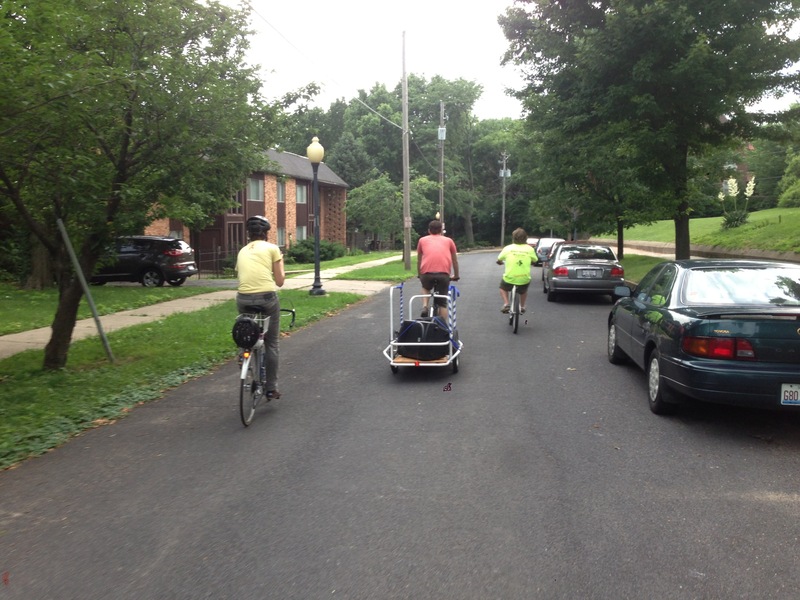 So if you would like to be apart of Bike Dance Party on 4th please feel free to meet up and move those wheels. We are going to be in the West Peoria Parade as well as a ride after the fireworks. Please feel free to join!